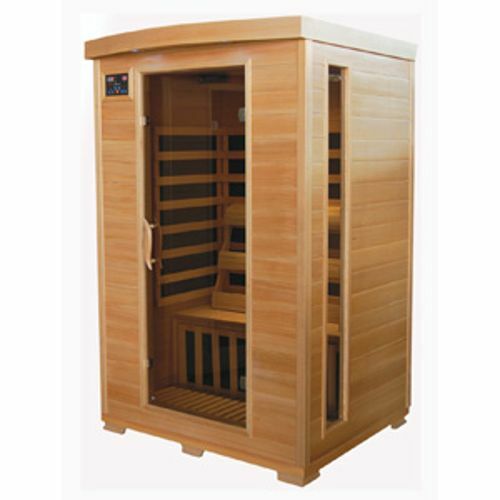 TheraPureSauna 1-2 person Canadian Hemlock Carbon Heater (5) Infrared Sauna made for in doors only ETL approved. 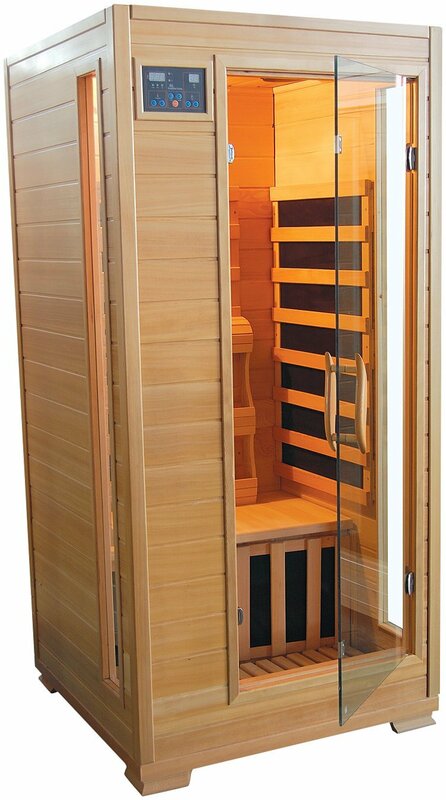 TheraPureSauna 2-person Canadian Hemlock Carbon Heater (6) Infrared Sauna made for in door use only ETL approved. 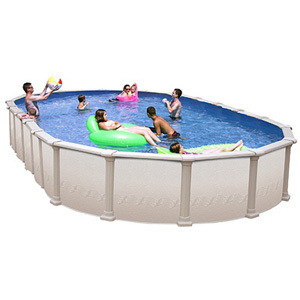 Warning: Above ground pools are not designed for diving or jumping. The combination of weather resistant extruded resin frame with Cristex® coated galvanized steel wall makes the perfect blend of style and durability. 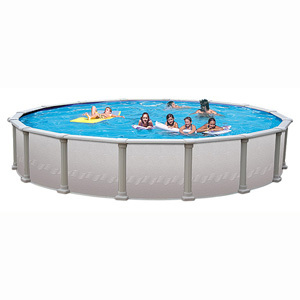 The Mystic II pool is offered in a variety of round and oval sizes. • 52 inch hot dipped galvanized steel wall strengthen with deep corrugation. • 7 inch 2 piece molded resin covers. • 7 inch extruded resin ledges. Non-corrosive and acid rain resistant with ultraviolet inhibitors. • 6 inch extruded resin verticals. Non-corrosive and acid rain resistant with ultraviolet inhibitors. 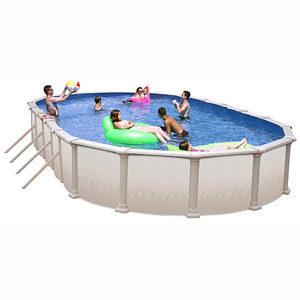 • Universal top and bottom resin rails. • Universal top and bottom resin plates. • Frame and wall color: Gray. • 50 Year Limited Warranty. 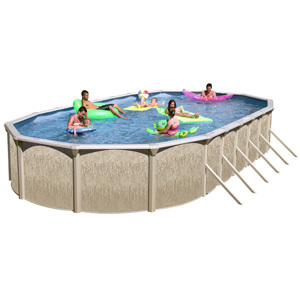 The Paragon swimming pool with 10 inch ledges and wrap around covers and pedestal is the latest addition to the Swim'n Play family of pools. The vinyl shield coated galvanized steel frame and Crystex® Coated galvanized steel wall offer excellent protection against all weather conditions. 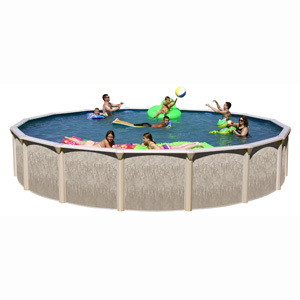 It's beautiful design will add style, luxury and quality to your backyard. • 10 inch 2 piece molded resin covers. Molded resin bottom Pedestal. • 10 inch deluxe hot dipped galvanized steel ledges. Textured vinyl shield coated for extra weather protection. 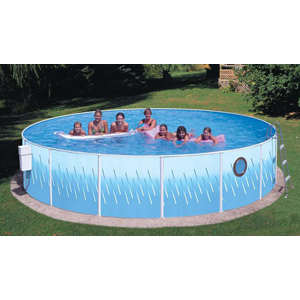 • 7 inch deluxe hot dipped galvanized steel verticals. Textured vinyl shield coated for extra weather protection. • 1 inch resin coated universal top and bottom steel rails. • Resin coated universal top and bottom steel plates. • Frame and wall color: Taupe. • 40 Year Limited Warranty. Pool liner and filtration system not included. This item is heavy and requires special delivery. You may have persons to help the driver unload the truck or pay the delivery company to use a Liftgate. 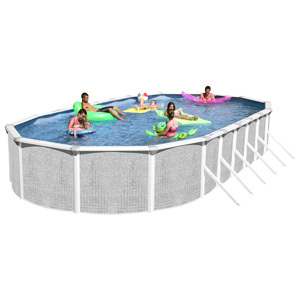 The Galveston Enamel painted galvanized steel frame with Crystex coating is an excellent alternative for the hot Summer months. • 7 inch XL hot dipped galvanized steel ledges. All weather protective Crystex coated. 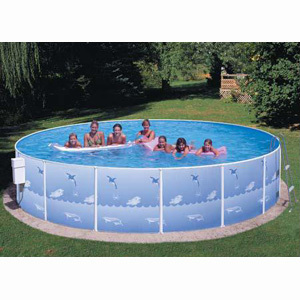 • 6 inch deluxe hot dipped galvanized Crystex coated steel verticals. 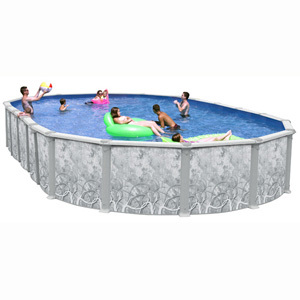 • Universal top and bottom painted steel rails. 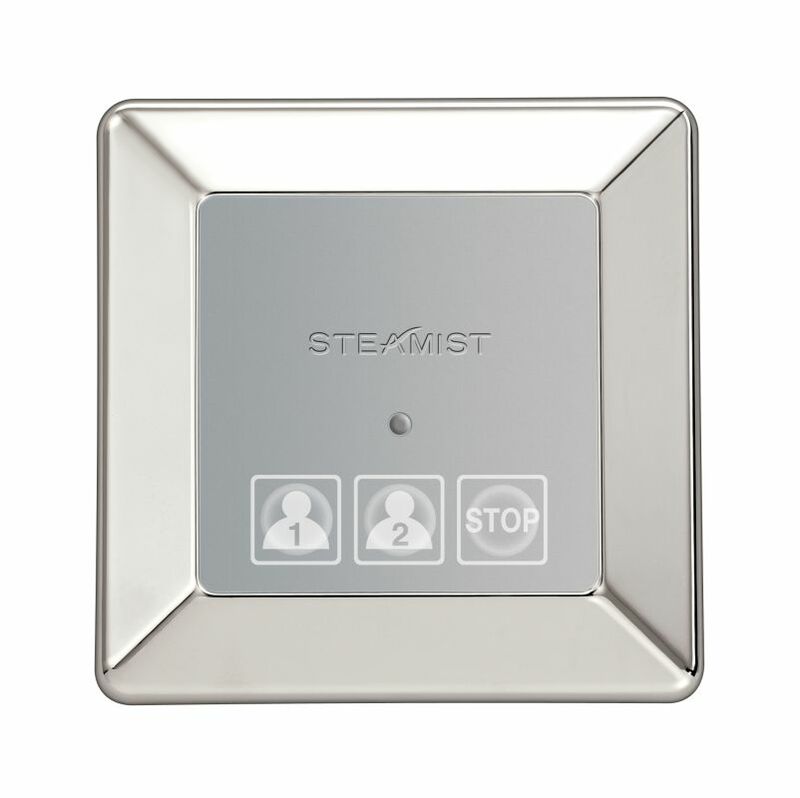 • Universal top and bottom painted steel plates. • Frame and wall color: Dune. 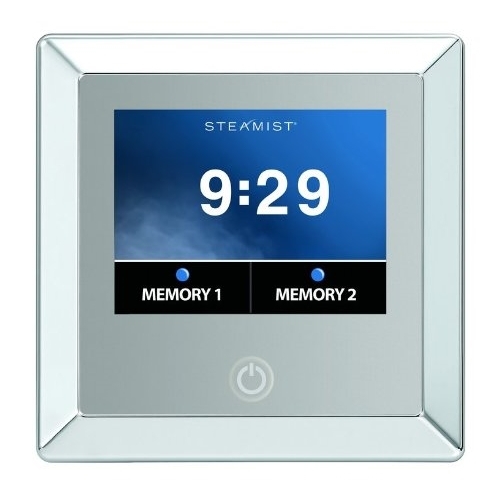 • 30 Year Limited Warranty. • Cover: 2 Piece Molded Resin. Gray Color.